Alice Chapple established consultancy company Impact Value in 2012, providing advice to private equity funds, companies, and impact investors on how they can design their commercial strategies to create the best impact for society and the environment, and how they can monitor and measure their results. Recent clients include AgDevCo, the DFID Impact Programme, the Moringa Fund, the Global Innovation Fund, FSD Africa, the Frontier Clearing Fund, AKFED, the Gatsby Foundation’s Msingi Fund and PIDG. Prior to setting up Impact Value, Alice was Director of Sustainable Financial Markets at the sustainable development charity Forum for the Future, working on projects exploring how to drive more capital to sustainable outcomes. Before joining Forum, Alice worked at development finance institution CDC in various roles, including financial analyst, fund manager, and social and environmental advisor. She also worked for Actis, the emerging markets private equity firm. 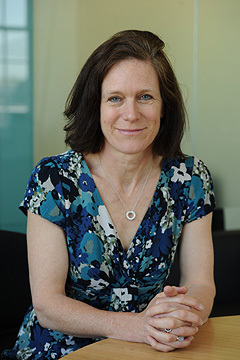 Alice is a Director of the Carbon Tracker Initiative and sits on the Advisory Board of the Alliance Trust Sustainable Future Funds. She has an MA in Economics from Cambridge University and is a chartered accountant.